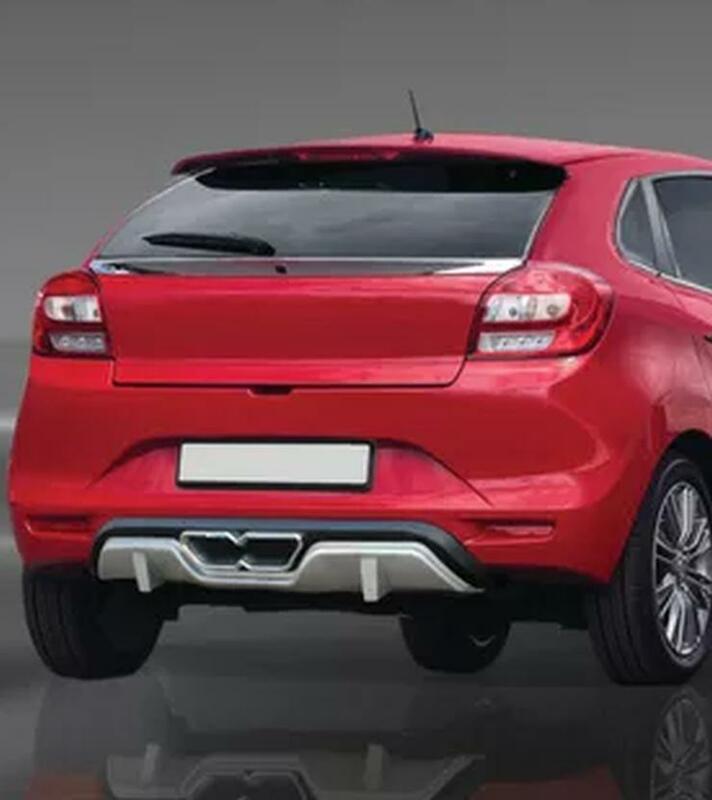 Aftermarket accessories maker M-TEK has come up with a body kit for the Maruti Baleno premium hatchback. Called the Black Knight, the body kit consists of bumper inserts at the front and rear. Both inserts are made of ABS plastic and are straight fits to the stock car. While body kits generally include side skirts, this particular kit is devoid of them. While the bumper inserts do make the Baleno look quite good, the biggest selling point is its price. M-Tek is selling the Black Knight body kit for Rs. 6,490, which makes it really affordable. Notably, the Maruti Baleno also gets a range of accessories available at NEXA dealerships. These accessories are part of Maruti Suzuki’s iCreate customization program, which means that they will not void warranty. While warranty may not become void by the addition of the Black Knight body kit to the Baleno, there’s no explicit mention of this by the manufacturer. The Baleno is India’s best-selling premium hatchback, and lately we’re seeing a lot of customized Balenos on Indian roads. From remaps and tuning boxes to body kits and alloy wheels, there are quite a lot of customization options for this car now. The Baleno sold in India is offered with three engine options – two in petrol and one in diesel. The petrol motors consist of the 1.2 litre K-Series 4 cylinder unit with 82 Bhp-113 Nm and the 1litre-3 cylinder BoosterJet turbocharged unit with 101 Bhp-150 Nm. Both engines get 5 speed manual gearboxes as standard while the larger petrol motor also gets a CVT automatic gearbox as an option. 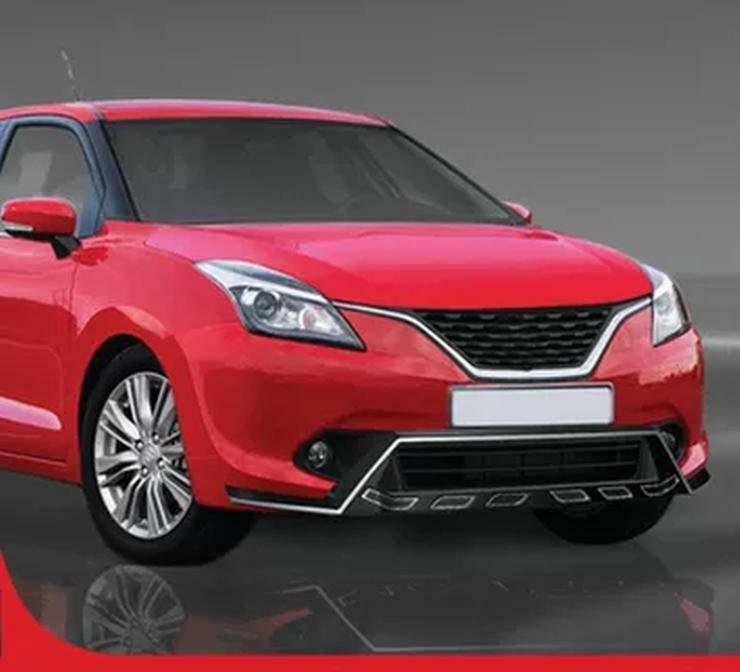 The diesel powered Baleno uses the 1.3 litre Fiat Multijet unit with 74 Bhp-190 Nm. A five speed manual gearbox is standard on this motor. Prices of the Maruti Baleno start from Rs. 5.46 lakhs, ex-showroom, Delhi.